It has come to our attention that 20 year old Shane Zimmardi passed away last week after attending of LIC SeaTac 2015. Per statements made by the deceased’s father, the deceased man accidentally took amphetamines which he believed were molly at the event. Out of respect for the deceased we will not be publishing his picture or his obituary. This is not the first time that this has happened in the PNW. Paradiso 2013 was marred by deaths that were attributed to accidental amphetamine consumption. Let this be a lesson: IF YOU’RE GOING TO CONSUME DRUGS, TEST THEM! A comprehensive test kit is available online from DanceSafe for 65$ which will test multiple doses of drugs for amphetamines and the deadly PMA/PMMA (which has recently been claiming lives in the UK, and claimed multiple lives in British Columbia in the early 2000s). A simple test kit, which tests for amphetamines but not PMA/PMMA is available for only 20$. Alternatively, you can contact the local Seattle chapter of Dance Safe – StaySafeSeattle and they will test your drugs for you. Zimmardi’s son, Shane, died after taking drugs at the Life In Color rave in Tacoma. “Someone found him at the Tacoma Dome underneath the bleachers and they took him to the hospital,” Zimmardi said. Shane somehow got separated from his friends after using a drug called Molly. It’s unknown if he got a pill with a different concentration than his friends or if he ingested more drugs later. Dr. Alexander Garrard said drugs like Molly contain a variety of chemicals and there’s no quality control, so you never really know what you’re taking. “When you use these substances it’s chemical Russian roulette,” he said. Shane’s friends are now advising people to use testing kits to see what they’re getting, but Dr. Garrard says the kits aren’t reliable. “While I think testing is good, we have to remember there are significant limitations to that,” he said. “It can inform you a little bit, but it’s not going to give you the full picture and it’s not going to be able to tell you exactly what’s in it.” Garrard said people need to educate themselves about the drugs, and he said the best thing to do is not use the drugs at all. “I think that if he would have known what he was getting himself into this would have never happened. Would have never happened. He took a risk and that’s his responsibility. He took that drug,” said Ashton Soete, Shane’s friend. 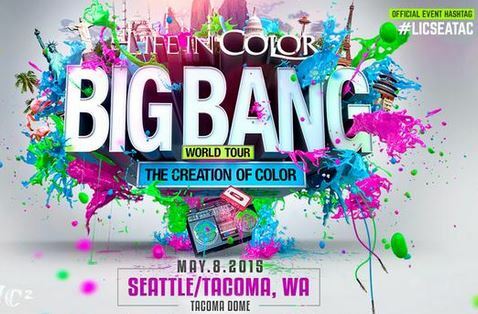 The Tacoma Fire Department transported nine people from the Life In Color event, but they can’t say why due to privacy laws. The event’s organizers didn’t respond to requests for comment on the story. We would like to respectfully disagree with the doctor quoted in the KOMO article who suggested that test kits are “unreliable”. While they may not be as accurate as a lab test, a simple test kit WILL TEST FOR THE PRESENCE OF METH AND PMA/PMMA, and can possibly save your life. When it comes to your life, isn’t it better to be safe than sorry? We would also like to remind you that Washington State has enacted “Good Samaritan Laws” regarding rescuer assistance during overdoses. The law protects those giving aid in an emergency to an injured person in a voluntary capacity, without expectation of monetary compensation, will be protected from liability as long as the rescuer is not willfully negligent or reckless in giving aid, and gives aid in a reasonable manner. If these criteria are met, then the rescuer will not be held legally liable for the outcome. They will meet you to test your drugs for free, anonymously. You have no excuses to not get your drugs tested. Spread the word. 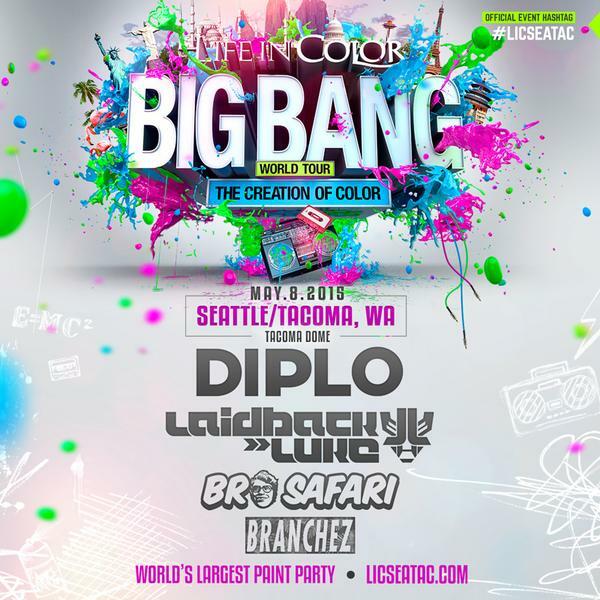 When Ashton Soete couldn’t get in touch with his friend Shane Zimmardi who he’d arranged to meet up with at the Life in Color Festival in Tacoma, Washington in May 2015, he didn’t think too much of it, assuming Zimmardi just didn’t have his phone on him. The next day, he got a call from Zimmardi’s brother, Forrest, who told him Zimmardi was in the intensive care unit at a local hospital. In the early hours of that morning, Zimmardi had been found passed out underneath some bleachers on the festival grounds after taking MDMA—at least, that’s what he’d intended to take. While Zimmardi was lying in the hospital ward, breathing through a machine with tubes snaking through him, Soete tried to piece together what happened. Zimmardi had gone to the festival with his brother and some other friends, he took some drugs, then around 10PM he told Forrest he’d be right back. His brother and the rest of his group didn’t see or hear from him again; at around 4AM, he was found by another festivalgoer under the bleachers. Soete later learned the person who found Zimmardi was an off-duty member of a nonprofit called Conscious Crew, who roam festivals looking out for people in trouble. Several more members of Conscious Crew were with Zimmardi when the medical team decided to call an ambulance, and they waited with him until it arrived. On May 13, 2015, after four days of assisted breathing, the decision was made to switch off Zimmardi’s life support. He was 20-years-old. Four months after his friend’s passing, Soete signed up as a volunteer with Conscious Crew. When someone dies after taking drugs at a music festival, the press and public’s attention tends to hone in on the fact they took an illicit substance. A number of widely-publicized deaths at EDM festivals in the last few years has sparked a fierce debate centered on how to stop young people from doing drugs, that swings from blaming legislation like the RAVE Act, to demonizing rave culture for its alleged encouragement of drug taking. In the past a knee-jerk impulse to act quickly against drug use, couched within a prohibitionist attitude towards substance abuse, has resulted in government policies written from a criminal justice perspective that punish drug users and event organizers—or try to stop raves altogether. The legislation thought of as having done the most damage when it comes to drug safety at festivals is then-Senator Joe Biden’s The Reducing Americans’ Vulnerability to Ecstasy Act, passed by Congress in 2003. Renamed the Illicit Drug Anti-Proliferation Act, it’s still commonly known as the RAVE Act. The legislation allows authorities to prosecute event organizers and venue owners for facilitating the use or distribution of controlled substances on their premises. The RAVE Act has been criticized by the parents of kids who’ve died at raves for being counter-productive because many promoters stopped providing things like cool down rooms and free water, fearing it would send an image of encouraging drug use. America needs a drastic shift in the way the country thinks and talks about drugs—accepting that people are going to do them no matter what punitive system is in place, and taking a non-judgmental approach to minimizing risk. In recent months, grassroots groups and policy reform advocates have made significant strides to accomplish this paradigm shift in drug policy from abstinence to harm reduction. And in the electronic music community, the change is felt most acutely in field of harm reduction at festivals. On March 22, LA is expected to sign into law a forward-thinking set of health and safety requirements for events of 10,000 or more attendees on county property. Seattle’s city officials are also taking a hands-on approach to reducing fatalities at festivals, holding summits in recent months to come up with safety suggestions for promoters and patrons. These initiatives are a small—but significant—step towards finding ways to curb drug deaths at festivals that actually work. The 55 health and safety recommendations that will soon regulate festivals (and other large-scale events) in LA county come on the heels of the drug-related deaths of two teenage women at HARD Summer in Pomona, California in 2015. Following those deaths, LA County Supervisor Hilda Solis called for a temporary ban on raves on county property until a full investigation had taken place, which resulted in the Los Angeles Board of Supervisors (LA’s governing body) convening an Electronic Music Task Force with the directive of making festivals safer for all patrons. Comprised of city officials and law enforcement officers working with groups in the dance music community that promote safe experiences, the current task force is a reincarnation of a similar group that formed in 2010 when 15-year-old Sasha Rodriguez died of drug-related causes at Electric Daisy Carnival in LA. The regulations include limiting events to people over 18; incorporating a cool down period after last call on booze that gives people time to sober up; placing amnesty boxes at the entrance for people to voluntarily give up their substances; and requiring organizers to provide educational material on the dangers of alcohol and drug use. If event organizers do not meet the requirements, the county will have the authority to shut the event down. This new legislation has been largely welcomed by advocates of harm reduction for being based on scientific evidence and for encompassing a wide range of stakeholders’ interests. Although the set of regulations is only at county-level within one state, the hope is that it provides a template for other states to follow. Missi Wooldridge, the director of DanceSafe—a Denver-based nonprofit advocating for health and safety within the electronic music community—told THUMP that she was pleased the task force in LA came up with a list of recommendations instead of completely banning raves. Stefanie Jones, Director of Audience Development at the DPA wrote a blogpost on the recommendations that praised the task force for how far they’d come in writing a “strong plan to reduce deaths and hospitalizations,” but cautioned that promoters may still find that venues don’t want to host their electronic music events. Elsewhere on the West Coast, in Seattle—where the promoter behind the Life in Color festival where Zimmardi died is based—the city has been championing a progressive approach to festival safety via an annual Music Safety Summit now in its third year. Hosted by the city’s Office of Film and Music, and attended by harm reduction experts and members of the rave community, the summit resulted in a list of takeaways for festival promoters and attendees to follow. They included making patrons aware of the Good Samaritan Laws in Washington that protect anyone seeking medical attention for drug emergencies from prosecution, and encouraging people that if they do decide to take something, to start with one dose. Helping the public separate truth from misconception is something that organizations like Drug Policy Alliance and DanceSafe have long championed. The lack of education around drug use is of particular concern at festivals, where external factors—such as high temperatures, sleep deprivation, not eating much food, and dehydration—will impact drug-taking in ways users might not realize. DanceSafe’s Wooldridge sees festivals as a valuable platform for educating ravers so they can make informed choices: “From a public health perspective,” she asked, “where else can we get 20,000 to 100,000 young people all in one place, with messaging and services in place to really educate around drug use?” Thus, DanceSafe has booths set up at a handful of festivals, where volunteers give out informational flyers and answer questions from attendees. Balanced, evidence-based information—as opposed to scaremongering or focusing on criminal penalties—on drug use is difficult to find. Perhaps the most comprehensive US-based resource is the Erowid website—a user-driven database set up by a couple from California 20 years ago of over 350 psychoactive drugs. DanceSafe also provides information on its website for drugs associated with raving: MDMA, psychedelics, stimulants, and marijuana. However, there is no official government database that people can turn to for scientific and legal information on illicit substances. The lack of fact-based information around drug use is exacerbated by the reluctance of American festivals to allow on-site drug testing. Widely adopted at festivals in Europe where harm reduction is considered to be more advanced, drug-testing isn’t common at US festivals. 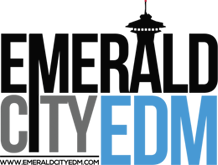 Wooldridge estimated that DanceSafe tests drugs at fewer than 10 festivals in the States, which Backwoods Music Festival as one of the few exceptions. Jones added that there’s also no guarantee that when users think they’re taking molly, they’re actually getting MDMA. While pill-testing is hotly debated, there is anecdotal evidence that the services help ravers make better choices. Being in Canada and so free from the constraints of the RAVE Act, the long-running festival has a dedicated harm reduction department, which, in addition to pill testing, provides a crisis tent for people to chill out in if they get too high; volunteers who wander the festival to help out people in distress; and special lodgings for sober ravers. In addition to drug and alcohol safety measures, the festival also provides harm reduction services for female attendees, as well as sexual health services. Lock believes the outreach program has worked because of its friendly, welcoming approach. “It’s not like a security-enforced atmosphere, but instead that we care about you and want you to make good choices,” she said. Joseph Pred, founder of MARS an emergency services company that has worked with hundreds of US festivals, also wants to see festivalgoers make better-informed choices. Over the 16 years the former Burning Man Chief of Public Safety has provided emergency medicine at festivals, he’s seen a lot of misinformation among ravers. “People who go to festivals, particularly those with a younger demographic, think they will get in trouble with law enforcement for seeking medical treatment for being high,” he said. The principal reason why many US festivals don’t provide services like drug testing, crisis tents, or in some cases free water, has a lot to do with legislation. The advocates THUMP spoke to all said they find many organizers are hesitant to adopt progressive harm reduction measures on-site because they’re concerned they will face legal or financial consequences related to the RAVE Act. Regardless of whether the threat of the RAVE Act is real or imagined, it’s one of the reasons why harm reduction at US festivals is in the dire position it finds itself today. But between the new legislation in LA and the safety measures in Seattle, policy is slowly catching up with society’s outlook on drug safety, which is shifting from abstinence to harm reduction. For Soete, as he processed everything that surrounded his childhood friend’s death at the Tacoma festival, he realized that Zimmardi’s story embodies the reasons why this change needs to happen. “Shane wasn’t educated on the drugs that are out there, but that’s because there’s no one providing this education other than the internet,” he said. Soete is very welcoming of the movements on a policy front, but he cautioned that people don’t need to hold out for the bureaucratic cogs to turn to make a difference this festival season.